75% of people say their boss is the most stressful part of their workday. Couple that with the fact that 56% of American workers claim their boss is mildly or highly toxic, then poor management becomes a serious obstacle to employee wellbeing. Today’s guest, Mary Abbajay, provides valuable insight into the many facets of a bad boss. Mary is the president of Careerstone Group, LLC, a full service organizational and leadership development consultancy that delivers leading-edge talent and organizational development solutions to business and government. She’s also the author of Managing Up: How to Move Up, Win at Work, and Succeed with Any Type of Boss. In this interview, Mary defines a bad boss, the ramifications of reporting to a bad boss and the difference between a bad boss and a toxic boss. I ask Mary how you make companies aware bad bosses are a problem without putting them on the defensive. Mary also tells us her own bad boss story and leaves us with tangible tips for both managers and wellness pros who may want to broach this subject in their organization. You’re Invited to our Encore Webinar: If you’re still on the fence about joining our training, Rebecca and I are hosting an Encore Webinar, “The Critical Steps to Increase Your Impact and Influence as a Wellness Professional” on January 17th at 2 pm EST. Register HERE. Many health promotion efforts are stuck in an old paradigm, operating on outdated thinking or flawed assumptions. [6:15] General bad boss characteristics and the difference between bad and toxic bosses. [9:05] Three reasons why toxic bosses are allowed to stay around. [10:45] The personal ramifications of reporting to a bad boss and a toxic boss. [13:30] The impact of bad bosses to organizations. [17:20] How to help organizations realize bad bosses are a problem. [24:12] Why people stay with bad bosses. [29:00] What you should consider when working for a bad boss and signs you should leave. [34:30] Mary gives you permission to quit working for a bad boss. [37:10] Her advice for handling difficult bosses and toxic bosses. Managing Up: How to Move Up, Win at Work, and Succeed with Any Type of Boss. Mary Abbajay is the president of Careerstone Group, LLC, a full service organizational and leadership development consultancy that delivers leading-edge talent and organizational development solutions to business and government. As a sought-after author, speaker, consultant, and trainer, Mary helps clients develop the strategies, skills and sensibilities needed for success in the 21st century. Her expertise lies in helping clients create dynamic and productive workplaces that foster professional and personal excellence and growth. 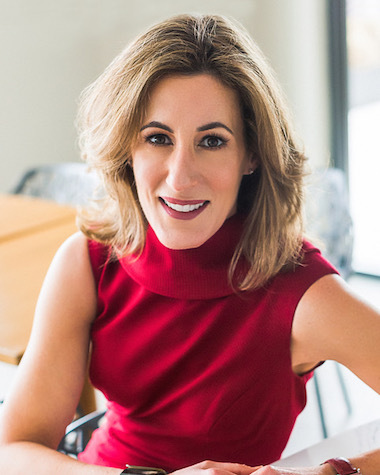 Mary is the author of Managing Up: How to Move Up, Win at Work, and Succeed with Any Type of Boss, as well as a frequent expert contributor for television, radio and print publications in the greater Washington area where she provides practical leadership and career advice. Mary currently serves on the Market President’s Board of BB&T Bank and is a past Chairman of the Board for Leadership Greater Washington. In 2010, Mary was named as one of Washington Business Journal’s Women Who Mean Business and was a Smart CEO Brava Award recipient in 2017.